Four tetrahedra are arranged around a half-size octahedron. This arrangement is repeated to form a space filling structure with alternating layers of tetrahedra and octahedra. 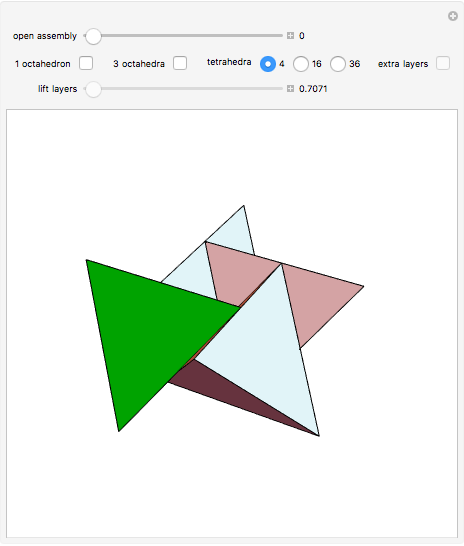 Dániel Erdély told me about the tetrahedron arrangement; his father made a model of it years ago. 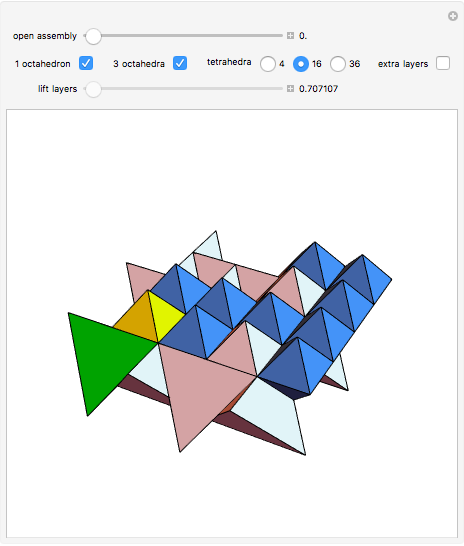 Without octahedra, the space filling ratio of tetrahedra is 2/3, as explored by a number of authors including John Conway and Klee Irwin. J. H. Conway and S. Torquato, "Packing, Tiling, and Covering with Tetrahedra," Proceedings of the National Academy of Sciences, 103(28) 2006 pp. 10612–10617. doi:10.1073/pnas.0601389103. 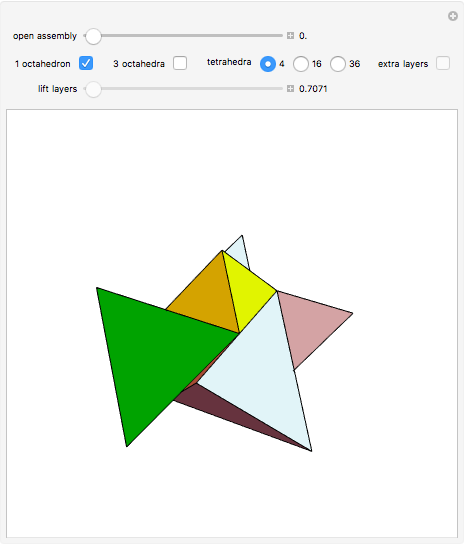 Sándor Kabai "Filling Space with Tetrahedra and Half-Size Octahedra"